The Guruntum live in Bauchi state in Nigeria, in Bauchi and Alkaleri districts. Containing many hills and mountains as well as numerous rivers and streams, this area is ideally suited for agriculture. The Guruntum claim to have migrated from an area called Miri, located southwest of Bauchi. From there, they moved to Kuku then eventually settled in their present-day location. Because of intermarriage with the larger Jarawa group, the Guruntum are considered to be a Jarawa sub-group. 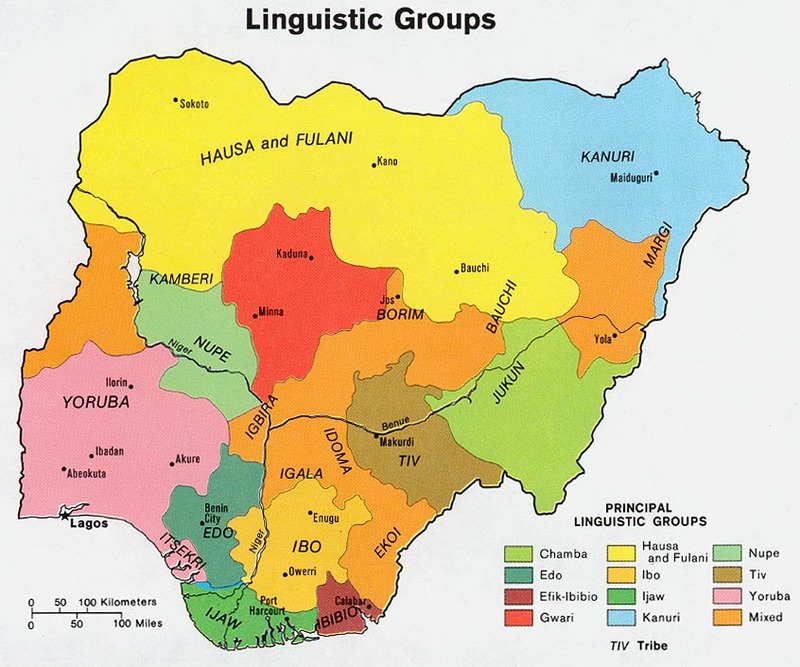 They speak a Chadic language, with Hausa being spoken as a secondary language. The Guruntum are somewhat modernized, compared to their African neighbors. They desire that their children attend school; however, most people cannot afford to pay the school fees. Although modern medical facilities are not always available to them, the Guruntum prefer modern medical care to their traditional practices in medicine. The Guruntum rely on farming and raising livestock for their livelihood. The principal crops grown are guinea corn, millet, and yams. A variety of vegetables are also produced, and women often tend to their own plots of land. The Guruntum live in compact villages protected by hedges or walls. Grouped in enclosed family compounds, huts are round with conical thatched roofs and mud walls. Each village has a headman, who handles affairs and makes decisions at the local level. The chief over all the Guruntum is elected from the Kasis clan, the royal family of the Guruntum. Groups of boys between the ages of seven and nine are circumcised together. They are taken to the bush for a month, where elders and the dodo (masked occult figure) initiate the boys into the religious life of their people. This time is also a training period for manhood. When the month is completed, a seven-day feast is held; and the boys are brought back to their parents by the dodo, who dances with people in the village upon their return. Most Guruntum marriages are arranged by the parents. A woman from the boy's village will take a bangle to the girl's house and fasten it on the girl's wrist. The girl cannot refuse this, as it is a symbol of the couple's engagement to be married. When the girl reaches marriageable age, the boy's parents bring gifts to the girl's family, and the two become husband and wife. Polygamy is considered prestigious; thus, many Guruntum men, if they can afford it, will have more than one wife. When a woman gives birth to her first child, she remains in her husband's house until the seventh day after birth, at which time a naming ceremony occurs. Then, the woman and child are taken to the woman's father's house, where they will remain for two years. This is done as a means of birth control. Wari, the name of their supreme god, is worshipped through smaller gods, called Kwanams. During festivals in the villages, the Kwanams will appear as masked figures, dancing with the people. Although Wari is considered a good god, his role is not very distinct, since the lesser gods take care of all the needs of the people. Rain, lightning, and other natural forces are considered to be gods. It is believed that an individual can be possessed by such forces and can have power to influence them. The Guruntum have few Christian resources available to them, and a majority have never had an opportunity to hear the Gospel. More evangelistic work needs to be done in their region. Prayer is greatly needed to prepare the hearts of the Guruntum to receive the Gospel. * Scripture Prayers for the Guruntum in Nigeria. * Ask the Lord of the harvest to send forth laborers into Nigeria to work among the Guruntum. * Ask the Holy Spirit to grant wisdom and favor to missions agencies focusing on the Guruntum. * Pray that God will give the Guruntum believers boldness to share Christ with their own people. * Pray that Christian radio broadcasts and evangelical literature will be made available to the Guruntum. * Ask the Lord to raise up a strong local church among the Guruntum of Nigeria. * Pray for Christian teachers and medical workers who are willing to go to the Guruntum of Nigeria.